On this course we will experiment with a variety of different approaches to writing about climate change. We will investigate ways of tapping our emotional reactions, of using research, imagining possible scenarios, and generating meaningful stories. How do we expose and write about that often hidden connection between our profligate use of fossil fuels and the loss of habitat, life and lifestyle that many in the world are already experiencing? Whether you are a poet, a fiction writer or prefer factual writing we will discuss the many facets of climate change and the ways in which its impact is felt both by participants on this course and people throughout the world. 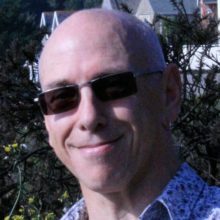 David Thorpe is the author of the YA climate change novel, Stormteller, and has contributed to the climate-change themed anthology Realistic Utopias. He has written and edited Marvel comics, sci-fi novels, TV and film scripts, and many articles on sustainable living, eco-building and renewable energy. He was Publications Director at the Centre for Alternative Technology, has been the news editor of various business and governance focussed environmental and sustainability magazines, and he has taught on many writing courses. He is a founder and patron of The One Planet Council and The London Screenwriters Workshop. Emily Hinshelwood is a poet, playwright and tutor. She has edited two climate change themed poetry anthologies, and produced plays responding to the theme. She has been poet-in-residence at many climate change conferences in UK and Europe, and co-founded the largest windfarm co-operative in Wales. She has been running arts and climate change events and workshops for many years. 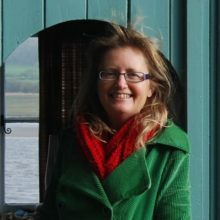 She was a lecturer in anthropology and sustainable development at Swansea University and is the co-author of the research report commissioned by the Arts Council of Wales, Culture Shift – How Artists are Responding to Sustainability in Wales. She teaches writing to adults, young people and children; and recently walked through Wales asking everyone she met three questions on climate change.